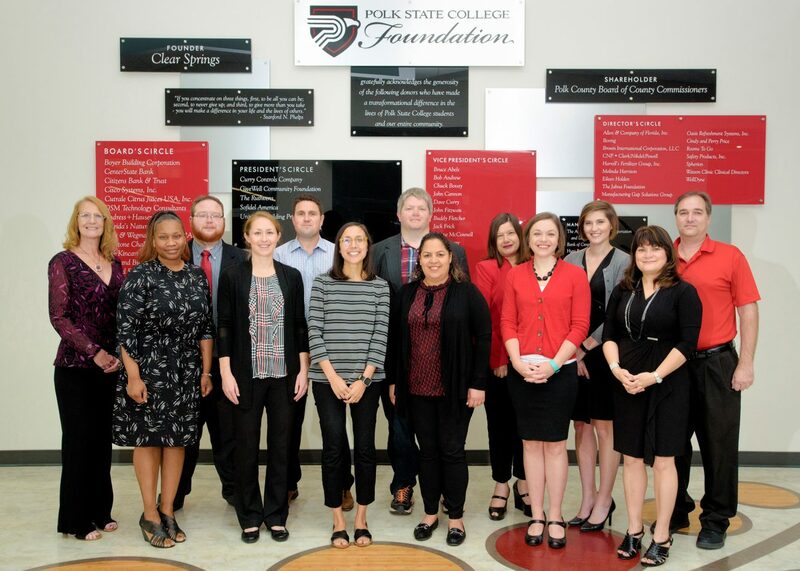 Polk State College is pleased to offer the Emerging Leaders Professional Series (ELPS) Program for full-time internal constituents. 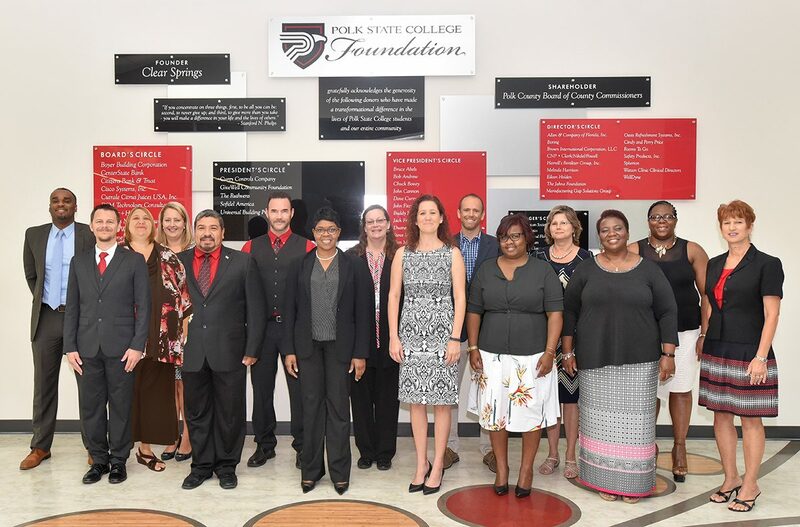 Supported by the Office of Equity, Diversity, and Inclusion, the program is aligned with the College’s strategic goals and core values and aims to develop superb and diverse leaders focused on student success to sustain a legacy of leadership excellence at Polk State College. Note: To be eligible for the program, a full-time employee must be employed at the College for a minimum of one year, and be working in his or her current position for a minimum of one year. The Emerging Leaders Professional Series (ELPS) Program provides training opportunities and strengthens skillsets for employees who have an interest in upward mobility. In this nine-month program, full-time employees explore strategies to effectively carry out the mission and vision of Polk State College, enabling them to become stronger and more effective leaders. 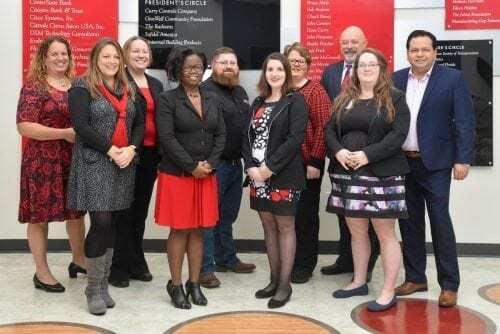 The Emerging Leader Professional Series Program provides a unique opportunity for networking with peers and College leadership, enhancing connections, and building relationships that further professional success. Individuals participate in a series of courses that prepare them for the Emerging Leaders Professional Series Certification. These courses include The Corporate Edge: Presenting a Positive Image with Personal Branding, Public Speaking, and Business Communications, as well as other engaging sessions. Internal administrators, professional-technical staff, and faculty members, as well as external community partners, are invited to provide leadership insight to participants. The sessions are presented through class lectures, team-building activities, and highly interactive discussions. Each participant identifies and analyzes what he or she has learned through this leadership development opportunity and presents this information at an end-of-program symposium, which includes a group project. The symposium displays the benefits of the program, and administrators, supervisors, and coaches are encouraged to attend in support of the participants. Sessions meet one Friday per month at the Polk State Clear Springs Advanced Technology Center (ATC) Kincart Room. Typically, the Orientation and Opening Retreat (Session 1) is scheduled in October in the Kincart Room, and the Closing Symposium is scheduled in July at the ATC Mosaic Auditorium. 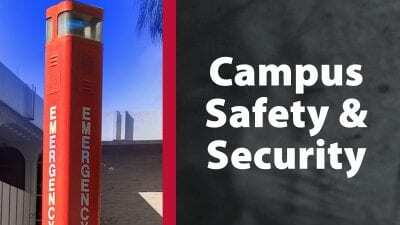 Materials (handouts) are supplied by the Polk State Corporate College. Refreshments are provided at each session. Class sizes are limited. Selections are made after all of the applications are received. A confidential selection committee reviews the applications and selects participants. Class members are announced in early October. A candidate may only be nominated by either the individual’s supervisor or by a member of President’s Staff. Self-nominations are not considered. To submit a nomination, an individual may visit the Leadership Opportunities page in PIE and click on the Emerging Leaders Professional Series (ELPS) link to review the ELPS Nomination Process, Roles, and Expectations section. This link also provides access to the ELPS Program Nomination Form. All nominations must be submitted electronically via the ELPS Program Nomination Form (i.e., nominations may not be sent via email). To submit an application, the candidate must access the link provided by the Office of Equity, Diversity, and Inclusion and provide the requested information. The link to access the ELPS Program Application Form is sent via email to each candidate after the nomination period closes. A candidate may apply after he or she has been nominated—and only during the open application period. A nomination may only be submitted by either the individual’s supervisor or by a member of President’s Staff. Self-nominations are not considered. Before submitting the application, an individual should carefully review the ELPS Application Process, Roles, and Expectations section related to the program. This information can be accessed by visiting the Leadership Opportunities page in PIE, and clicking on the Emerging Leaders Professional Series (ELPS) link. Click on the image to open it larger on your screen.